Following the discovery of gold in the Boer state of Transvaal there was a great influx of foreigners, mostly British. This so threatened Boer supremacy that they determined to deny the new immigrants the vote and other rights. This was the underlying cause of the war which broke out in October 1899. The British, supremely confident and convinced that one of them was worth at least five Boers when it came to fighting, launched a series of attacks as if the Boers were nothing more than another body of rebellious natives. They were very quickly disillusioned when they suffered three serious defeats within one week. 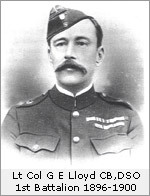 These defeats led to a large number of reinforcements being sent to South Africa of which the 1st Battalion formed part. It arrived in Cape Town early in 1900 from where it was soon sent forward as part of the force whose task was first to relieve Kimberley and then to capture the Boer capitals at Bloemfontein and Pretoria. The first task having been quickly achieved, the Boer commandoes, which had been contesting the relief of Kimberley, withdrew towards Bloemfontein. However they were forced to give battle at Paardeberg on 18th February where, after being besieged for ten days, 4,000 Boers were obliged to surrender. This was the first major defeat for the Boers and a turning point in the war. The war dragged on for a further two years before peace was signed. It had thrown a great strain on the army and revealed many defects in the Victorian military system. Fortunately by the time war again broke out, in 1914, the defects had been remedied. In addition to the 1st Battalion, a company of the 2nd Battalion fought in the war as part of the Burma Mounted Infantry. The 3rd (Militia) Battalion also served in South Africa. 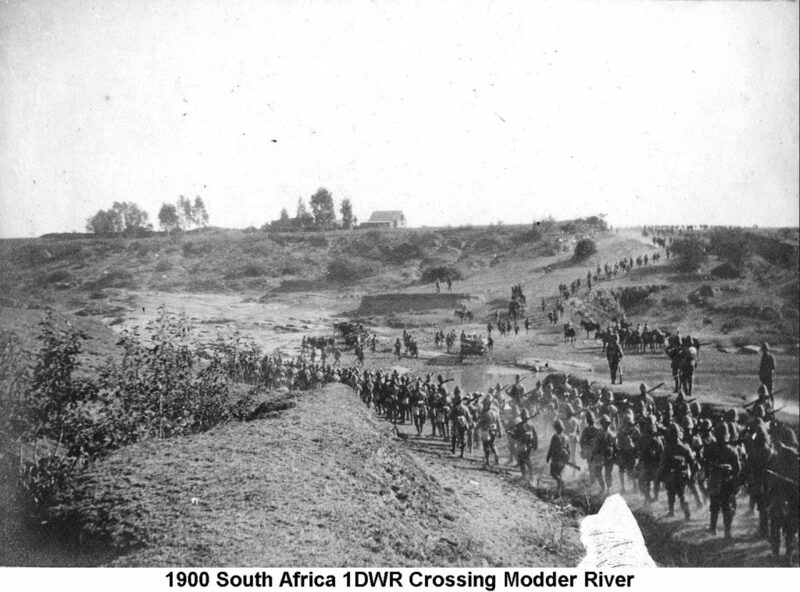 The Battle Honour granted to the Regiment for the Boer War was South Africa 1900 -1902. Great Britain declared war on Germany on 4th August, 1914, and immediately mobilised the British Expeditionary Force. The 2nd Battalion, in 5 Division of II Corps, was fully operational in France by 18th August. The plan of the French and British was to advance into Germany, but this was quickly frustrated by the Germans who were sweeping through neutral Belgium. On 24th August six German divisions came up against the two divisions of II Corps at Mons. Despite their overwhelming superiority the German attack crumbled in the face of the superb musketry of regiments of the 3rd and 5th Divisions. Mons was followed by a retreat towards Paris but the tide was turned at the Marne and the Germans withdrew. Now began ‘the race to the sea’ as each army tried to outflank the other. At Ypres, during October and November, a desperate battle was fought as the Germans tried to break through to Calais. They were stopped but the British battalions were, by then, down to a quarter of their strength. The old regular army died at Ypres, but it had set a superb example for the new armies which were being raised in the UK at that time. The expansion of the army was achieved by doubling the Territorial Army (the 4th, 5th, 6th and 7th battalions of the TA, formed in 1908 from the Volunteer battalions, each raised a second battalion and by the raising of ‘service’ battalions, which, in the Regiment’s case were numbered the 8th, 9th and 10th. All these battalions fought on the Western Front during the long hard slog of trench warfare and in the process helped the Regiment to gain the Battle Honours of Somme – Arras – Cambrai and Lys. 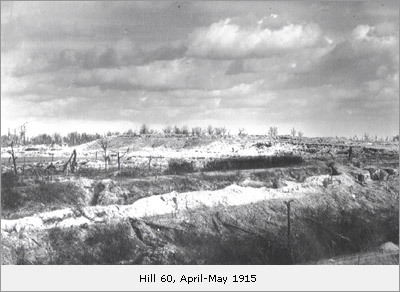 The only battalions to serve elsewhere were the 10th, which fought in Italy, where it gained the Battle Honour Piave and the 8th, which took part in the Gallipoli campaign and gained the Honour Landing at Suvla. In addition to these battalions the 12th and 13th were raised as labour battalions. The 11th remained in the UK and acted as reserve to the 8th, 9th and 10th. In total 24 battalions were raised during the war, which finally ended on 11th November 1918. At the outbreak of war the 1st Battalion was stationed in India and remained there for the duration. At one stage, in 1914, it was one of only eight British battalions left to garrison the country. Later this weak garrison was considerably augmented. This was just as well, as in the aftermath of the war there was much civil disobedience, during which the 1st Battalion played its part in an internal security role. In 1919 the Battalion took part in a short war in Afghanistan. It returned to the UK in january 1921. At that time the Regiments name was again changed to The Duke of Wellington’s Regiment (West Riding). On the 18th of October 1936 The 6th West Yorkshire Rifle Volunteers and The 2/5th Battalion of the Dukes laid up their Colours in St. Pauls Parish Church, in Huddersfield. Following the parade the troops marched through the town centre and back to the Drill Hall. During the period between 1920 and 1935 the 1st Battalion was stationed in the UK, except for a brief period in Gibraltar and Turkey in 1922/23. In 1935 the Battalion was moved to Malta, returning to England in 1938 where it joined the 1st Infantry Division. The 2nd Battalion was overseas for almost the whole of the period between the wars, sailing for Egypt in 1922, before proceeding to Singapore and then India, where it arrived in 1928. During 1934/35 the battalion took part in the Looe Agre and Mohmand operations on the North West Frontier. Immediately war broke out the 1st Battalion was sent to France, where little happened until May 1940, when the Germans attacked. In the ensuing retreat to Dunkirk the 1st Battalion formed part of the rearguard covering the embarkation of the BEF. In 1942 the battalion landed in North Africa and took part in several battles, notably at Djebel Bou Aoukaz in 1943. 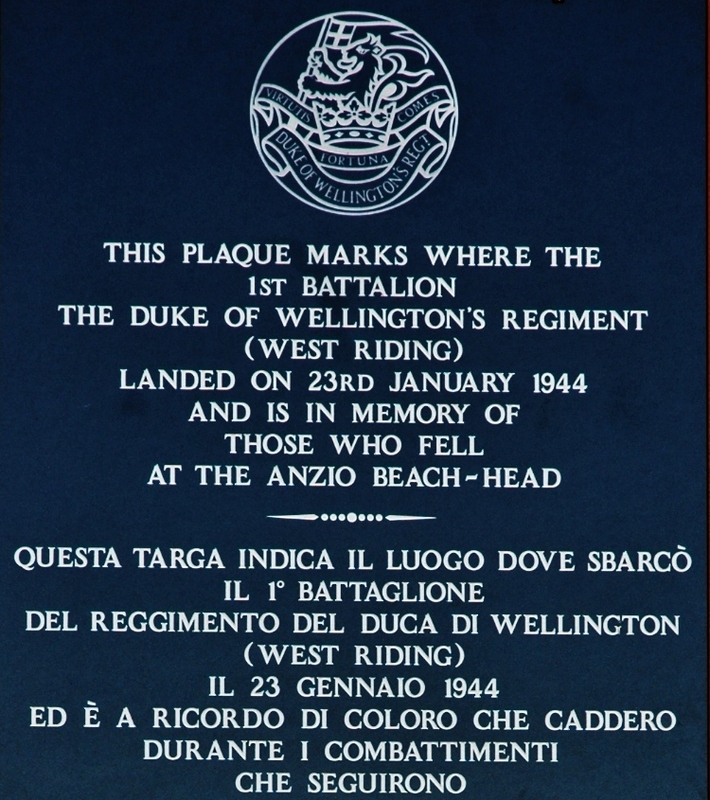 The following year it participated in the landing at Anzio and subsequently saw some of the most desperate fighting of the war, particularly at Monte Ceco in October 1944, where Private Richard Burton was awarded a VC. Following the Japanese attack on the Americans at Pearl Harbour, in December 1941, the overstretched forces of the Allies were soon swept aside by the Japanese Army. In February 1942 the 2nd Battalion was hastily mobilised as part of a force sent to reinforce Burma. Within a week of landing at Rangoon the battalion found itself defending the bridge across the river Sittang, which was then blown up before the battalion could withdraw across it. From there the campaign developed into one long retreat until the British force eventually crossed into India in May. After a period for reorganisation the 2nd Battalion was assigned to the Chindits in which it formed two columns – the 33rd and the 76th. As part of that force both columns were involved in the relief of Imphal in March-July of 1944. Before the outbreak of the war both the 4th and 5th Battalions were converted to other arms – the 4th to Royal Artillery and the 5th to Royal Engineers (and later, in 1944 to RA). 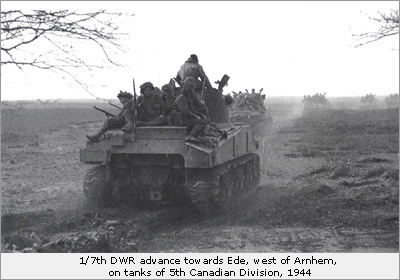 Both the 1/6th and the 2/6th saw service in Europe, the former in Normandy in June 1944 and the latter in the campaign of 1940. The 1/7th landed in France on the 11th of June 1944 and fought with distinction in Normandy, where it gained the Battle Honour Fontenay-le-Pesnil on the 25th of June 1944. The battalion took part in the liberation of Holland and was there when the war ended. en-Caux before being evacuated to the UK. The battalion did not see any further action during the war. Read the ‘Service Memories’ of Peter Walker who enlisted in the 2/7th Battalion in 1939. The 8th Battalion was reformed in July 1940 and in the following year was converted to 145 Regiment RAC and as such served in North Africa and Italy. Both of the Regular Battalions remained busy in the immediate post war period. 1 DWR were serving in Palestine when the Germans finally signed for peace. From there they moved to Syria and then on to Khartoum in the Sudan. The 2nd Battalion were in India in 1945, but both Battalions were back in England by 1947 where a mass “rationalisation” in the organisation and administration of the Army had begun. On 17th June 1948 the 1st and 2nd Battalion were amalgamated to become one single Battalion, designated the 1st Battalion, The Duke of Wellington’s Regiment (West Riding), at Strensall in York. The Freedom of Halifax was granted to the Regiment in 1945 (accepted by the 5/7th Battalion due to operational commitments of the two Regular Battalions). This was repeated by several other towns and cities across the region. In 1951 there was also the dedication of a second Regimental Chapel in Halifax Parish Church. The introduction of National Service in 1949 also provided most of the soldiers and officers for many years to come. Serving two years with the Colours before returning to their homes, ensured the name of the Duke of Wellington’s Regiment was always held in high regard throughout the Riding.